Mervyn King, governor of Bank of England (BoE) and Zhou Xiaochuan, governor of People’s Bank of China (PBoC), have signed an agreement to establish a reciprocal 3-year sterling/renminbi (RMB, or Chinese yuan) currency swap line, according to an announcement on the BoE’ website on Saturday night. 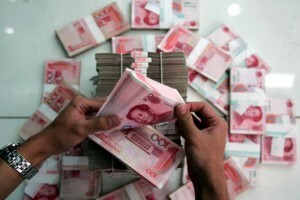 The maximum value of the swap is 200 billion Chinese yuan/20 billion pounds. The swap line may be used to promote bilateral trade between the two countries and to support domestic financial stability, said BoE. This is China’s first such currency deal with a G7 nation. Governor Mervyn King said that it is a testament to the outstanding working relationships between the BoE and the PBoC that this swap line has now been signed. The establishment of a sterling/renminbi swap line will support Braitain’s domestic financial stability. “In the unlikely event that a generalised shortage of offshore renminbi liquidity emerges, the Bank will have the capability to facilitate renminbi liquidity to eligible institutions in the UK,” King said in a statement. The agreement follows the announcement of discussions between the Bank of England and the People’s Bank of China on 22 February 2013.